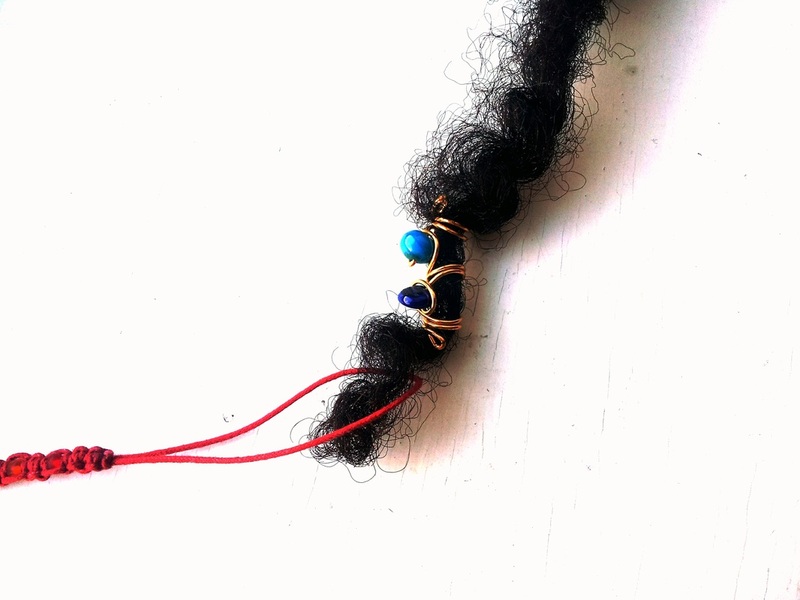 I had a shop stall this weekend and sold a few hair jewels. I realized that people don't really know how to put them on and will sometimes struggle with them as they are so long and intricate, it is not quite the same as sliding a bead up a lock of hair. It is actually very easy to do, once you know how. 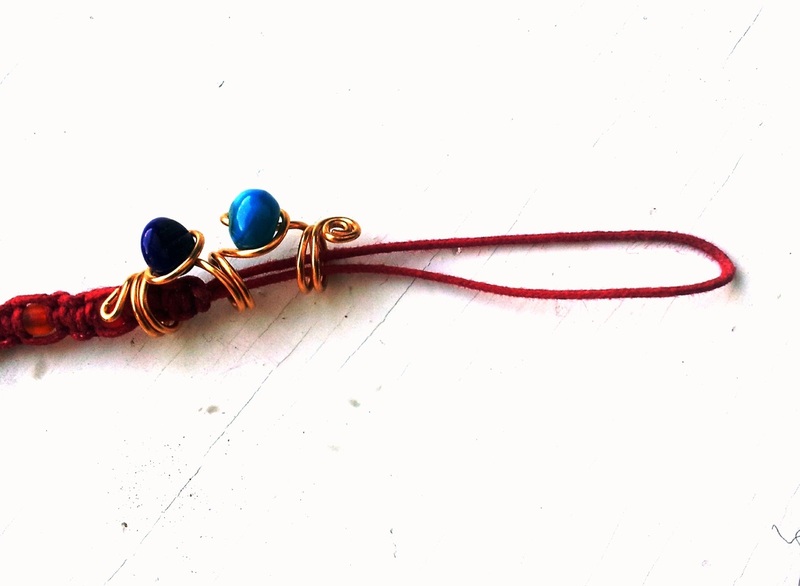 I do have a hair jewelry tool that I sell in my shop but you can use a makeshift tool, all you need is a piece of string. 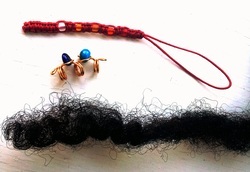 In the photo examples below, I have used a lock of loose hair but this is not advised as explained in the advice about wearing hair jewelry at the bottom of this article. 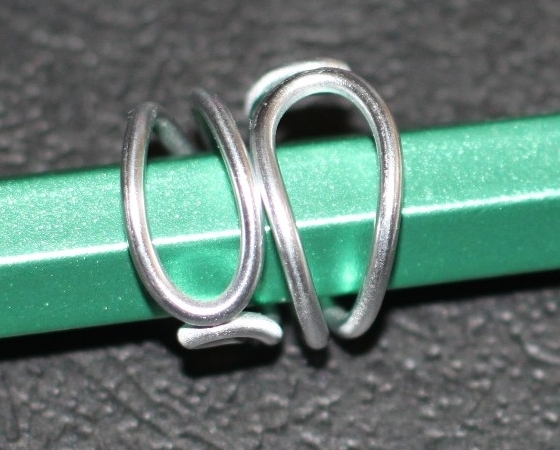 I will give you a quick demonstration using my tool but you can simply take some string and fold it in a loop. You may tie a knot to keep the ends together if you want. 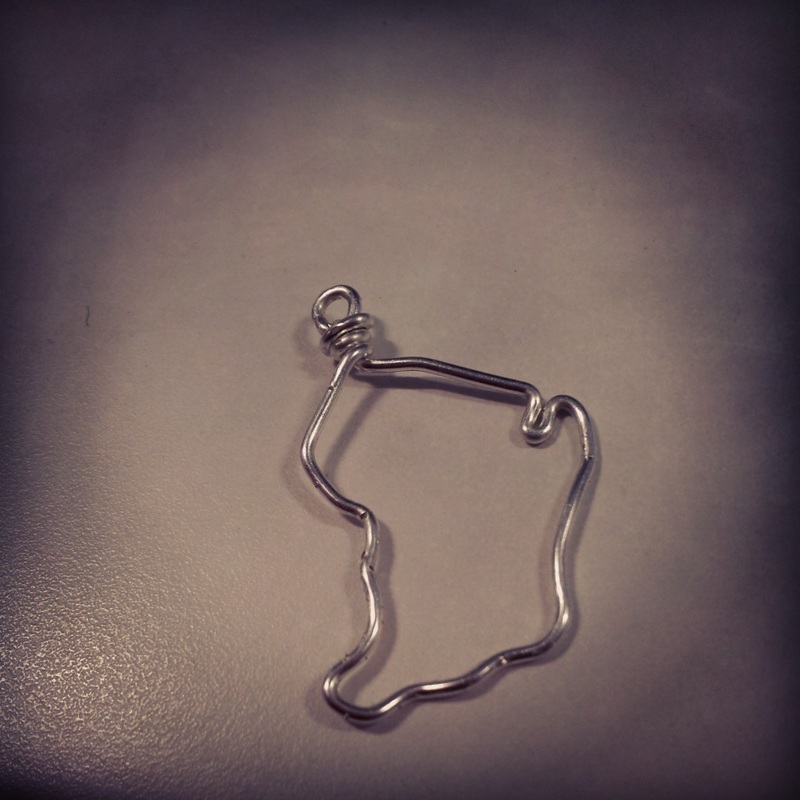 First, you slide the jewel into the loop. The side that is closest to the loop will be the closest to the hair root, in case you are particular about which side of your jewel is up. Then, you put the end of your hair into the loop. 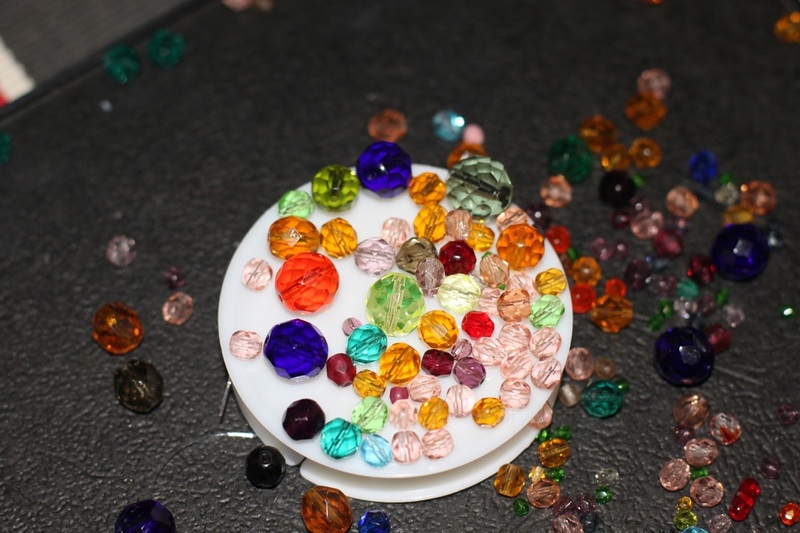 I suggest you first make sure that you are choosing a lock of hair that is not too big or too small compared to the inside diameter or your jewel. You can use a knitting needle gauge tool to measure the diameter of your lock of hair accurately, or just use the time tested method of trial and error. ...until it is inserted completely. 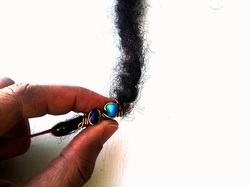 You can then slide the jewel up or down your lock of hair to where you want it to stay. 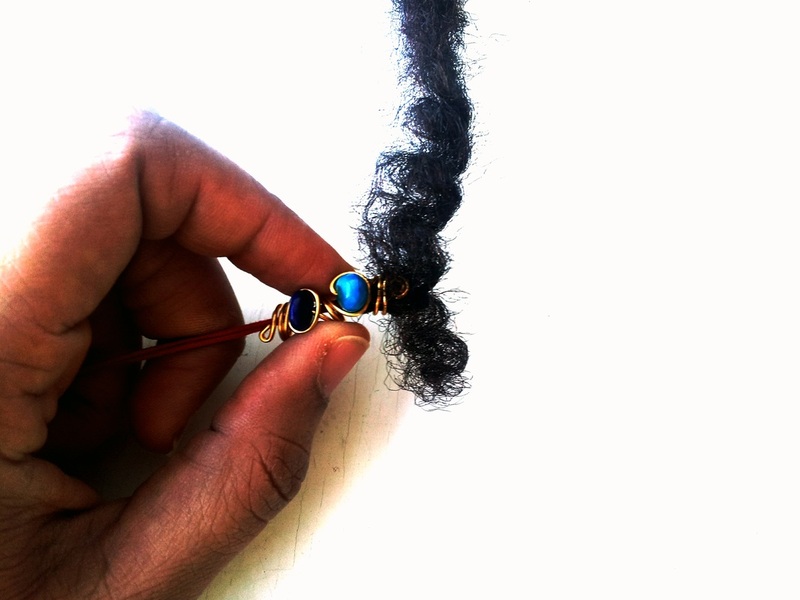 If it is a bit loose and you are worried it might slip off, pinch the ends of the jewel onto the hair to make it tighter. • Some of them will withstand water and moisture a lot better than others. 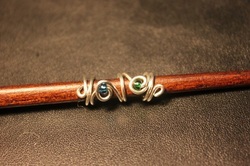 Those with transparent beads may show some oxidation inside the bead if worn continually. I would suggest removing them to wash your hair. 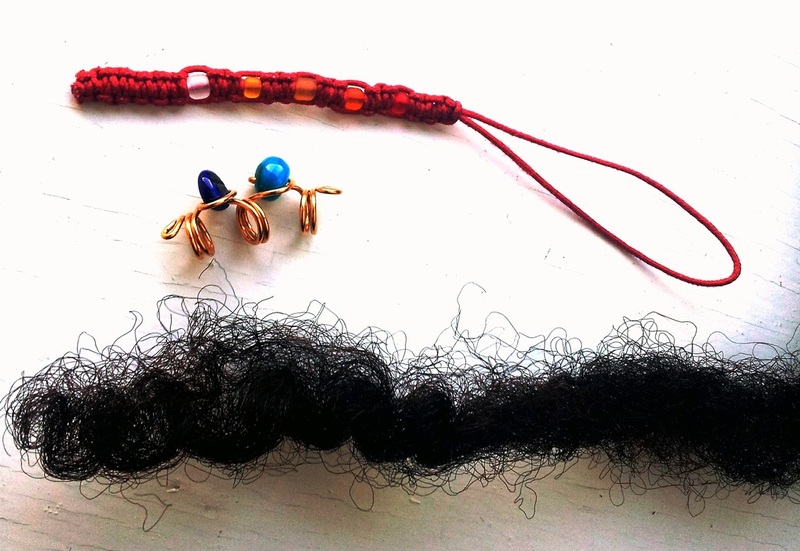 • The jewels have many twists and turns in which loose strands of hair can stay stuck. 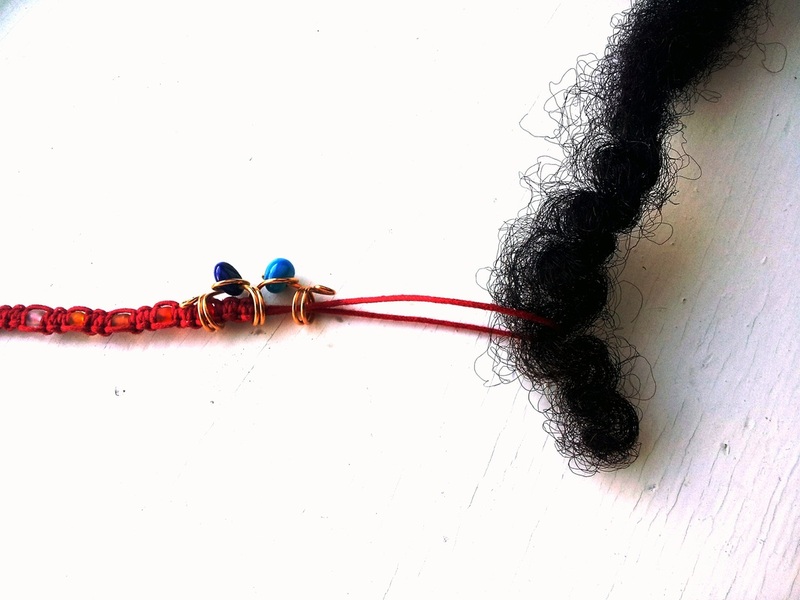 It is ideal to wear these jewels on dreadlocks, braids or very tight twists. Wearing them on a loose lock of hair (such as the one on the pictures above) may result in the jewel being stuck and having to be cut free. Now that you know how to put them on, have a look at the hair jewelry shop and buy your own ! I have already mentioned these before and they are now a reality. I got a batch of natural seeds from the Caribbean and started creating a range of jewelry using them. So far, it is mostly just earrings and necklaces but there will be some bracelets and rings coming later. As usual, these are mostly one of a kind designs and may not be reproduced and the item you see on the picture is the one you are buying. The whole range is available to buy right now in the Urban Natural section of the shop ! 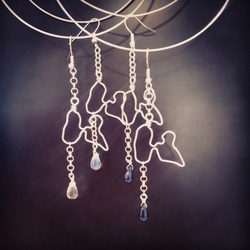 And to compliment this natural range of jewelry, another one with sea gems. They are mostly sea shells and sea glass and definitely unique by their very nature. Finding matching pieces of sea glass is a challenge in itself but an enjoyable one. I am still working on this section which is mostly earrings at this point but all the items available in the Urban Island section are ready to go ! Of course, I am happy to take customized orders, if you see something you like but would like it to be a little different. Why not combine the land seeds and the sea shells ? That's an idea... Send me a message with your requests ! the shop has received a makeover ! Yes, I finally did it. 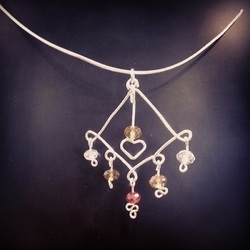 I finally rearranged my shop to go with my shop's theme: "jewelry designs for the urban tribes". -urban tribal: you will find in this section the jewelry aimed at the "tribes". 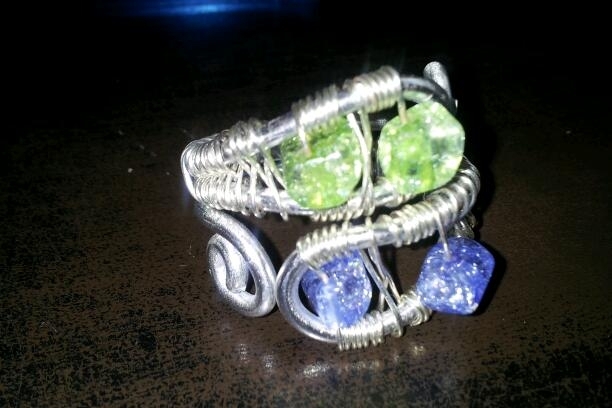 -urban mythology: jewelry to adorn your inner goddess. -urban spirituality: designs inspired by religious items. -urban natural: designs that include natural seeds from the Caribbean. 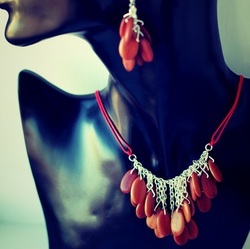 -urban island: jewelry featuring shells. -hair jewelry: all you need to beautify your hair. 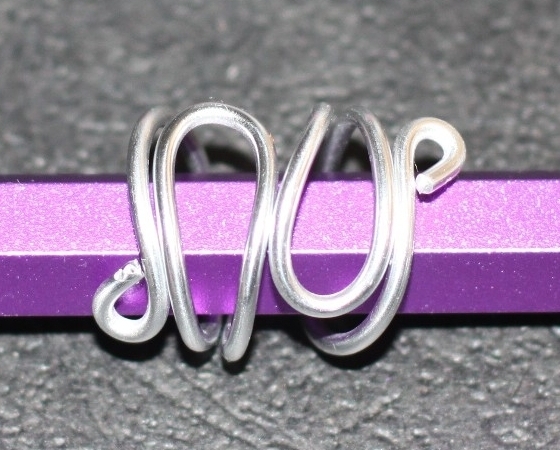 -rings workshop: design your customized ring, just the way you want it. 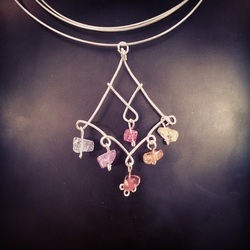 -kids section: jewelry for the little ones. Some of the sections are still under construction and I am working on them. It always seems to take longer for me to do the things that are in my head... but I'll get there and I'll take you there with me ! I then made sure to include lots of pictures, some of them are my friends who helped me with a photoshoot at home one evening after work. I hope you like them as much as I do ! 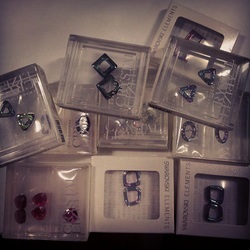 I also went to the Swarovski elements shop in London one sunny Sunday afternoon and bought some of their beads. 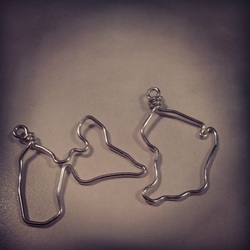 I hope to include them in a few pairs of earrings very, very soon ! Let's make this happen, shall we ? a new design was born. I was recently invited to a very stylish wedding which theme was Afro-Chic. If you know me, you know I am not big on African prints or African inspired items so coming up with an outfit or accessories for the occasion proved a real challenge. But after much racking of my brain and searching online, I decided to go for a single accessory to match the theme. 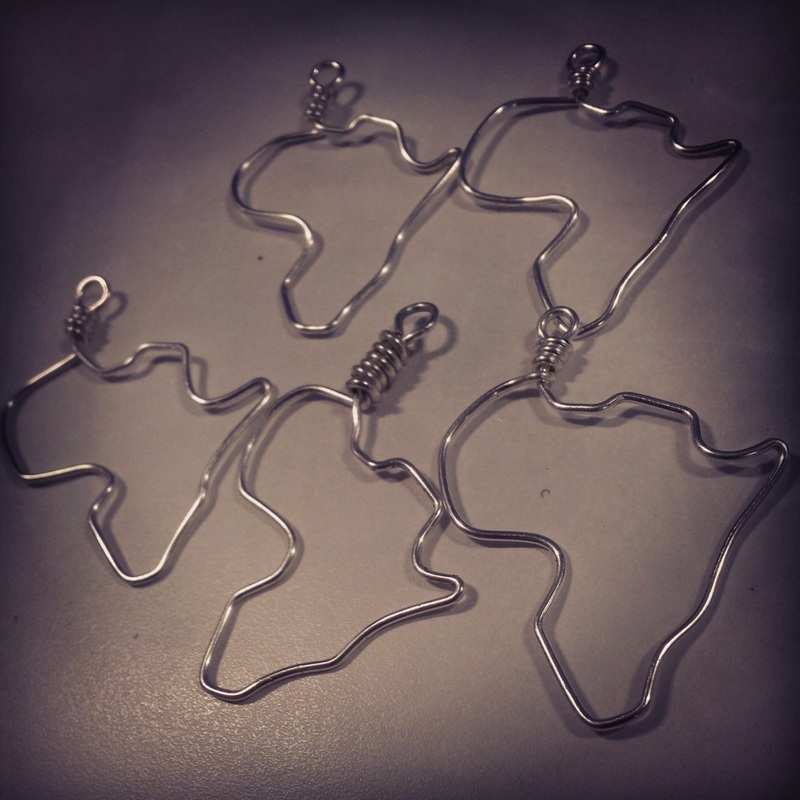 First I made one map of Africa out of 1mm thick silver plated copper wire. Then I embelished with chains and a black droplet bead. I gave up on the idea of making a pair for myself after trying, unsuccessfully, to reproduce the map to the sams standard as the first one. But I am not one to give up easily... and a few people told me they wanted to purchase a pair of the Africa earrings from me so I had to do something. I perfected the technique, put the idea of a perfect photocopy to rest, tried and tried... and eventually, it happened ! I had a few pairs, ready to go and they have now found a good home. I should have seen what happened next coming. I received orders for more patriotic designs which I happily got myself to work on. 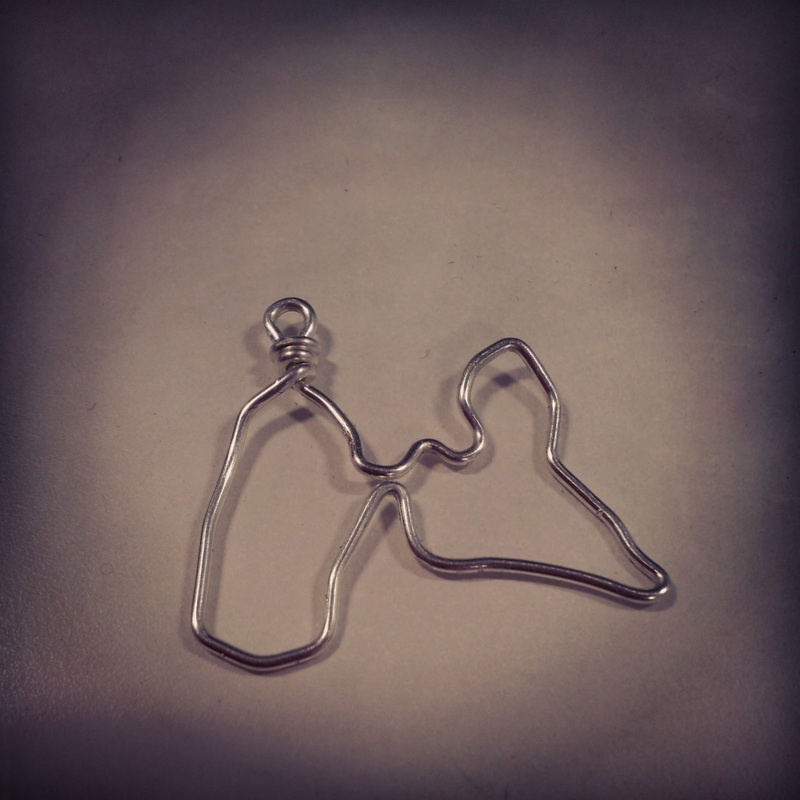 This is how these French Guiana and Guadeloupe earrings came to life. These designs are now available to order in the urban tribal section of the shop and if you want me to make you a pair, you can drop me a line and I will be happy to make it for you ! 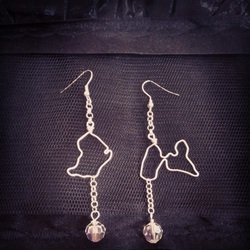 All my earrings are priced at £12, including the customized designs. You are sure to get a great deal. One funny, interesting, paradoxical thing about me is that I don't wear much of the jewelry I make. I love to see my designs being worn by others but I don't make it a point to be my first customer. 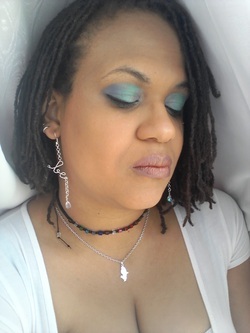 The only one of my designs that I wear daily is a very simple macramé necklace. This is not very good, I must admit and I should work on that. 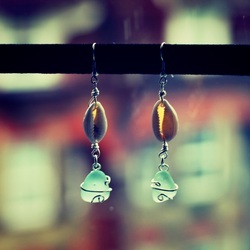 Another thing I needed to work on and that I have applied myself to very much lately was to add earrings to my catalog. A lot of my friends asked for it, I know people who own them by the dozen and they are the flagship item of most of the handmade jewelry designers I know. So I went into the workshop with my usual wires and pliers. 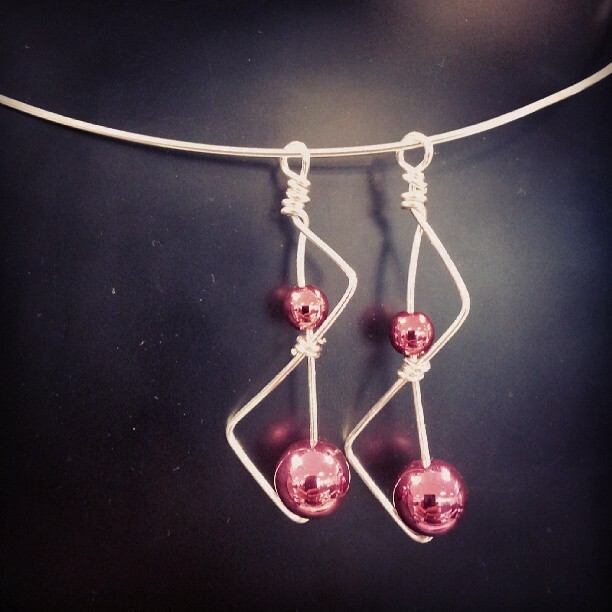 Once I figured out that the 2mm thick wire was too hard to work with and settled for thinner gauges of wire, I came up with a few designs that I was pretty happy with, including one that I made for myself for a beauty contest with a "Boucles d'Ebene" theme. I didn't win but it was a good start. It is not without its ups and downs, I make a few mistakes, I waste some material, but in the end, I always seem to come up with something that I am happy with. I have also figured out the reason why some people don't bother with making pairs of earrings and come up with asymmetrical designs. 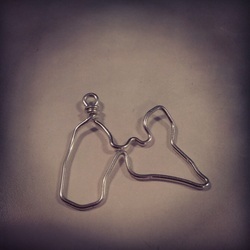 It is pretty difficult to make two identical earrings ! Especially when you are a perfectionist, like me, and you want them two earrings to mirror each other so that they will both face the same way on each side of the wearer's face. 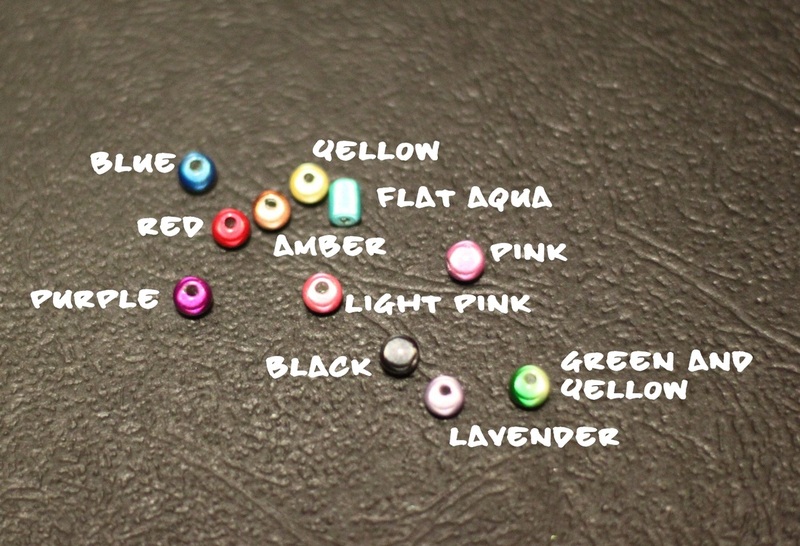 Anyway, I am happy to announce that the earring section of the shop is now open for business ! 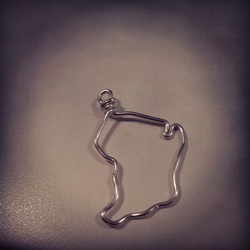 One of my first designs was snapped up within hours of it being published on my facebook page. 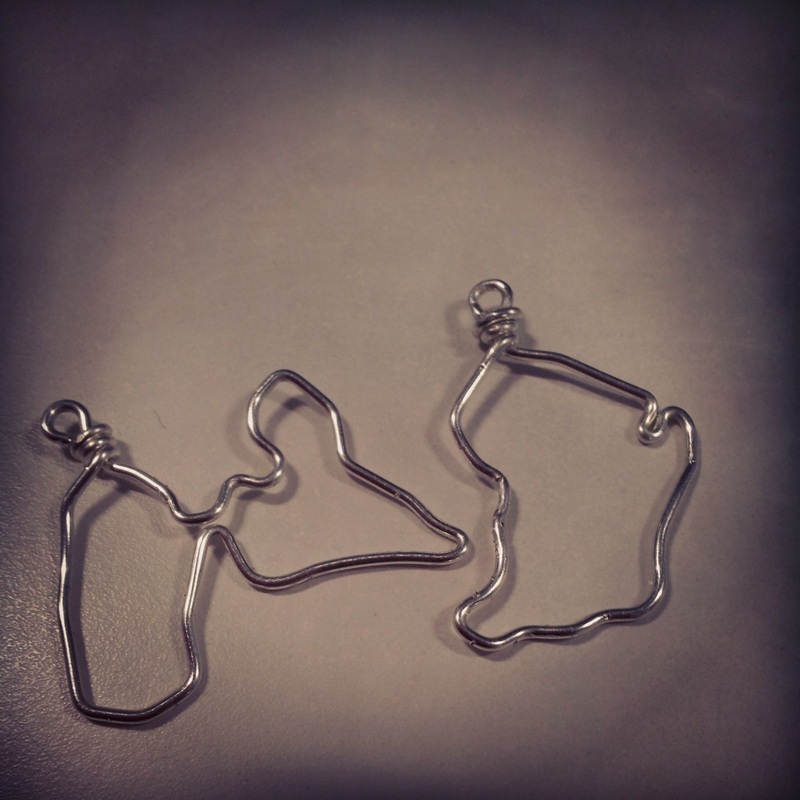 Here is a sneak peek at the upcoming designs to join the shop as soon as they are finished. 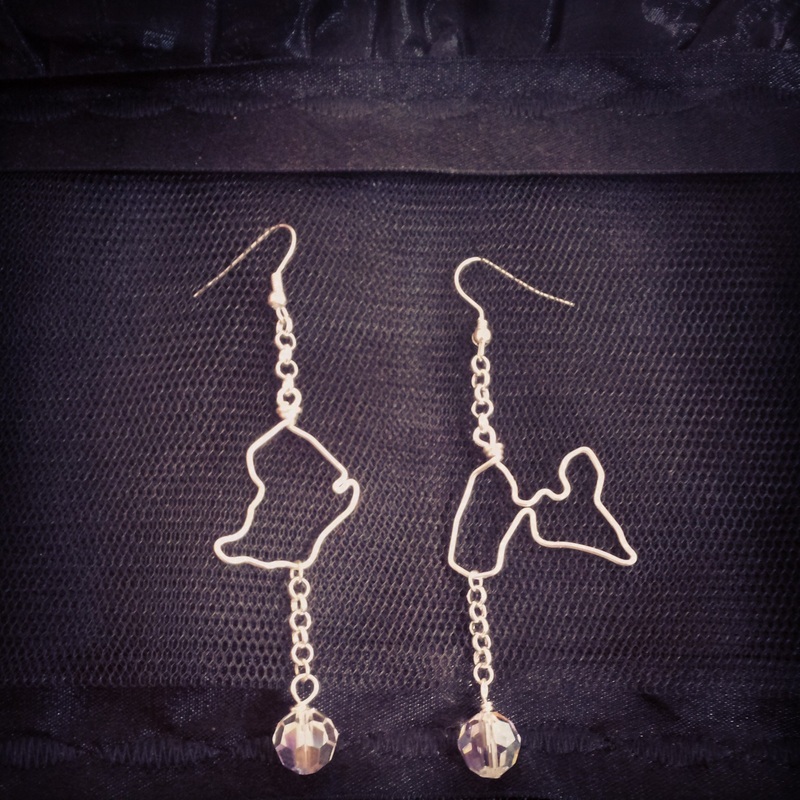 If you can already picture these dangling from your ears, keep an eye on the urban mythology section of the shop ! the new and improved shop is coming. And isn't it long overdue ? I think it is, anyway. I've been working on two projects regarding my website lately. 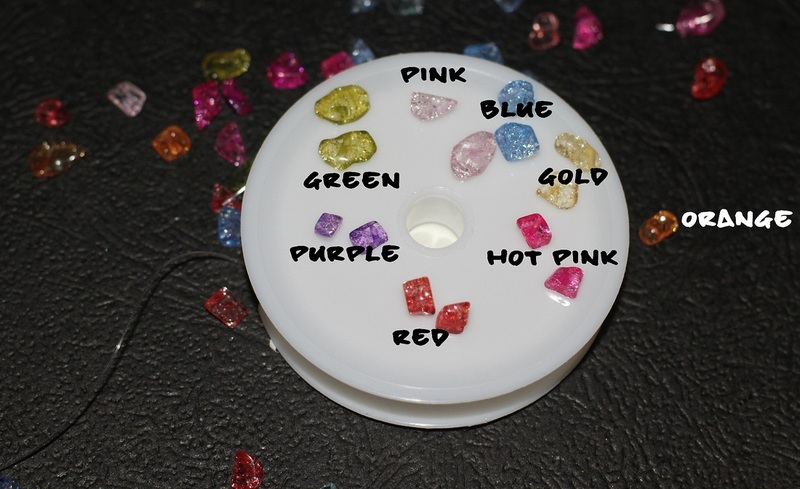 The first one being to add more items to the shop, including a DIY ring section to allow people to either purchase items that are already made or to order their own custom made ring without any hassle at all. I am also working on an earring equivalent but with everything that is going on with me right now both in and out of the Workshop, it is likely to be in a while from now. The hair jewelry shop only carries one little item for now, which is the hair jewelry tool. I actually invented this tool to make it easy to slide them on the hair and now you can acquire your very own ! The other project I've been working on is my French website, which is pretty much a clone of this one but does not have a blog. Not that I don't have anything to say to my French readers... I just don't find it interesting to have two identical blogs in two different languages... or even to have two different blogs, for that matter. The French version of the hair jewelry shop is more advanced at this stage than the one on this site so if you really can't wait to get your hands on some of my items and would like to purchase size 3 or size 4 jewelry for your hair, go and have a look ! Please forgive me for the quality of the pictures, however. 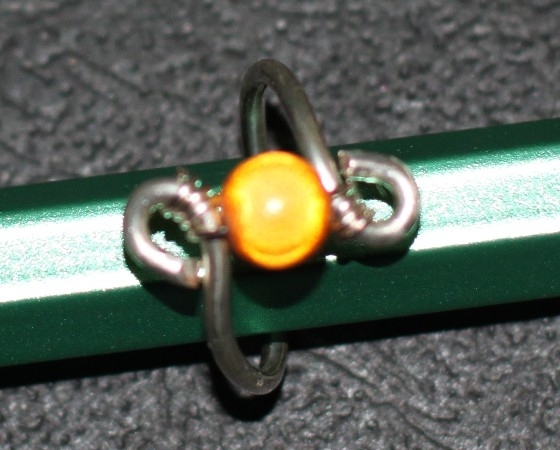 some of them are blurry but you still get a reasonably good idea of what the jewel looks like. And before I wrap this up, I give you a little picture which was taken during my hair jewelry inventory. My little helper would not let me do it by myself and had to get involved. I hope that one day he will earn his helper's title by actually participating in making the Workshop happening because at the moment he is mostly one reason why things are moving slower than I would like them to. I do love my little man with all my heart but his tendency to try and swallow beads and to fling my tools across the room kind of hinders my progress . He is now past that age when he will sleep most of the day so even working during his naps proves highly inefficient. But knowing me, even if it happens slowly, the Workshop is definitely happening so don't go anywhere ! create your own ring the way you want it. 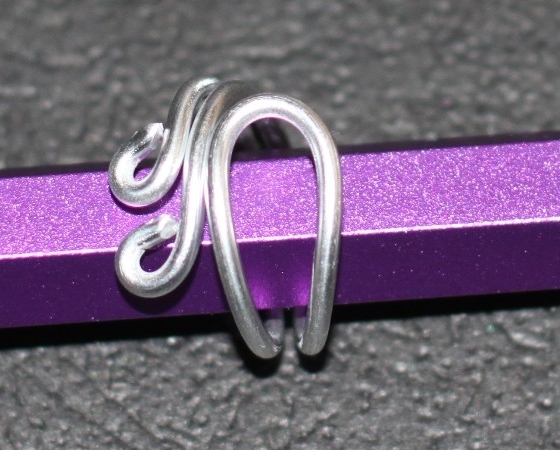 I have been working on some really interesting ring designs using thick silver plated copper wire (2mm) now that I have mastered the art of shaping the wire the way I want it. They were fine but I figured I could simplify the design slightly and now I can offer you the chance to design your very own ! Please note: they are all adjustable and would fit most finger sizes, except Véronique which needs to be fitted to your ring size. 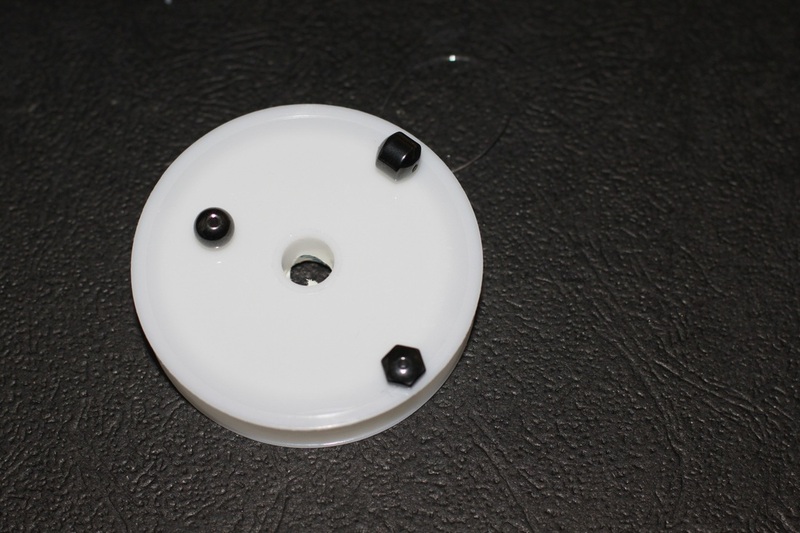 The large illusion beads are 8mm in diameter and the small ones are 6mm. 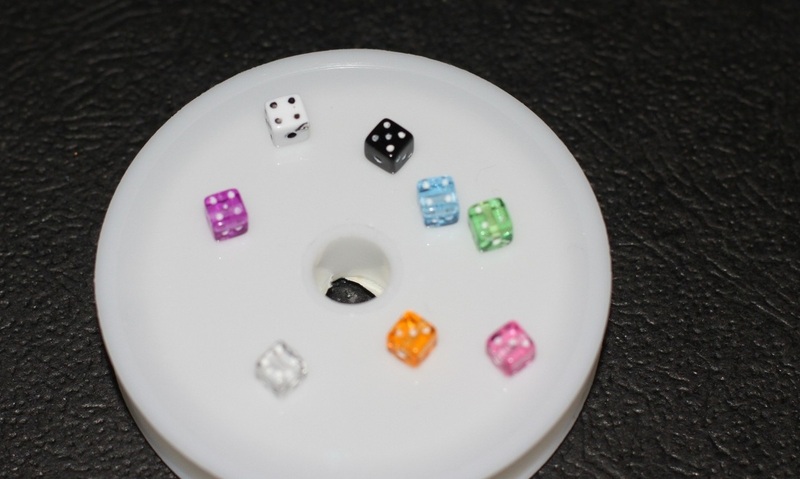 The dice and small crystal beads are about 5mm and the crackled glass chips vary between 4mm and 8mm. As you can see, the possibilities are pretty much endless ! 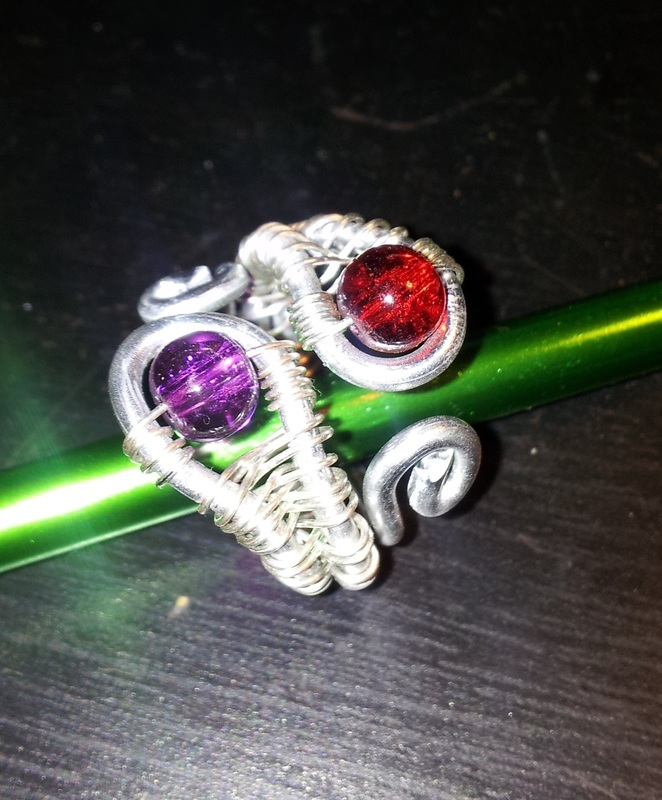 The ring alone is sold for £7 then add £1 per bead being added. This means one like the one below would be £9. You can also choose to have only one bead or to have a big one and a small one close together. It's your ring, you decide ! Have you made up your mind how you want yours ? Well, place your order ! I had the idea to create the "Stardust Encapsulated" after I visited the Swarovski shop in London. They were selling those beautiful pens with loose crystals in them. I absolutely loved these and was told that I would find the crystal dust at the Swarovski Crystallized shop in London. If you are a little bit of a magpie at heart, I suggest you steer well clear or else you might end up buying the whole shop. I went home with sparkles in my eyes and started thinking about ways that I could use these. On one of my many ebay trips, I found these little glass bottles and I had part of the solution to my design conundrum. Cute little glass bottles with a cork lid, I decided these were going to be pendants and started thinking up ideas of how to make this idea come to life. 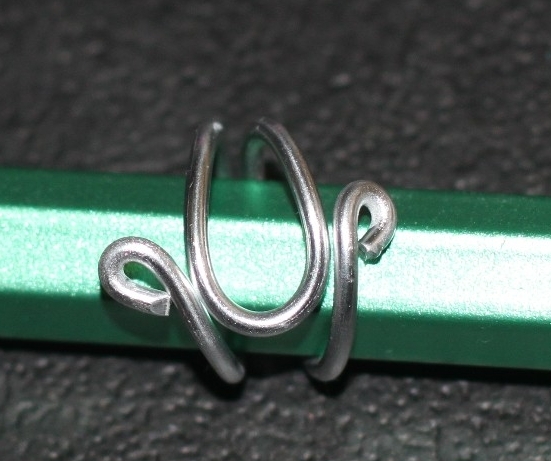 At first I thought the solution was to use copper wire to help keep the lid on and to create the loop for the pendant. I tried several designs. pretty sturdy but not so cute ! and watch out for those sharp edges ! ouch ! The final idea came when I realised that the main issue was that the sharp pieces of wire were getting stuck into the cord and were actually quite dangerous to wear. The solution was to remove the metallic parts altogether and to simply tie the cord around the neck and the lip of the bottle, effectively creating a necklace and encapsulating the stardust inside the glass bottle. 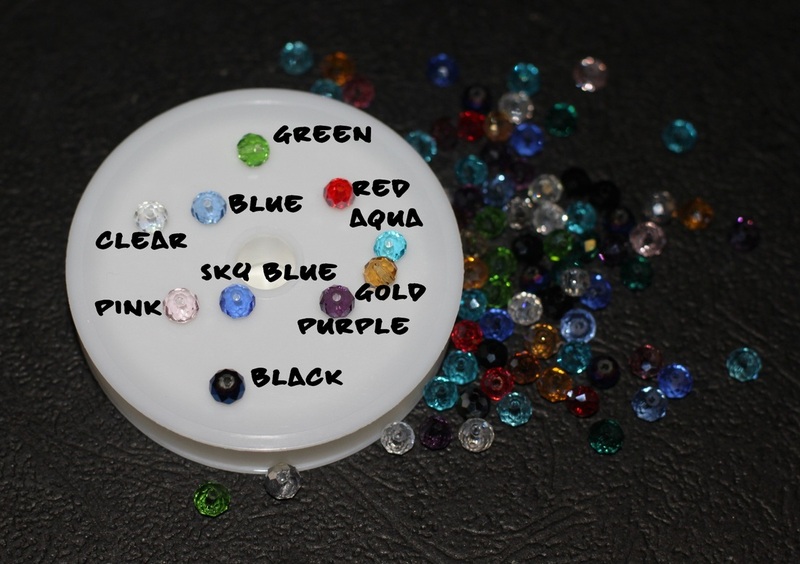 And all that's left for you to do now is to tell me what type of bottle you like and what color crystals you want ! Unfortunately, I have no time to update this blog. I have plenty of ideas, however, and I hope to come back and materialize them very soon. A few updates: sadly, I had to stop going to the Brixton Makers Marker. It was a great experience and I would absolutely love to do it again but lack of time and a full time job are getting in the way of this happening. For those who don't know it yet, I am also the mother of a wonderful little boy who has now entered the Toddler Stage, which means he is interested in everything I do and wants to touch and play with everything that is at his reach. This also means I had to dramatically reduce the amount of time I spend in the workshop. A mother only wishes to remove pliers from her son's mouth so many times, you see... it is not as enjoyable when I have to stop him from swallowing my beads all the time. I have come up with a few new designs, one including lovely Swarovski Crystal Stardust lovingly encapsulated in tiny little glass bottles and I am very excited about these. They will soon be added to the shop. 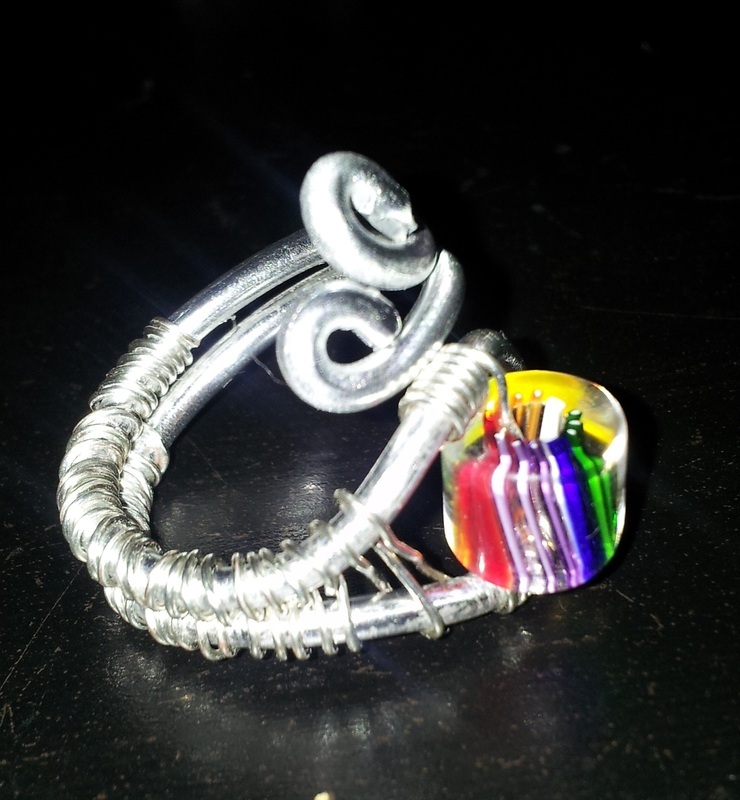 We also have the Music Rings which I am particularly proud of and I hope to have a lot of them in circulation very soon ! Well, that's mostly up to you for this to happen so start ordering ! First Time at the Brixton Makers Market ! Yesterday was my first time holding a market stall and it was definitely an experience that I will remember for a very long time ! It was at the Brixton Makers Market which is held once a month. Yesterday was an awfully cold day, however, and it did not start very well for me because I did not have the right shoes on for the temperature. My feet literally froze by the time my husband so kindly brought me a pair of more suitable trainers to wear. The weather meant that less people came out and the ones who did probably were still recovering from the holidays spending to be interested in buying. Most of the traders seemed to have a slow day, and I probably had one of the slowest of all, but I came out of this feeling very positive. First of all, I got to speak with other more experienced traders who gave me advice about how to set up my stall and my displays, I did give out quite a few business cards and people seemed quite positive about my products. All in all, it was a tiring day but it was a great experience and I will be back on 11th February for the Valentine's Day Special ! 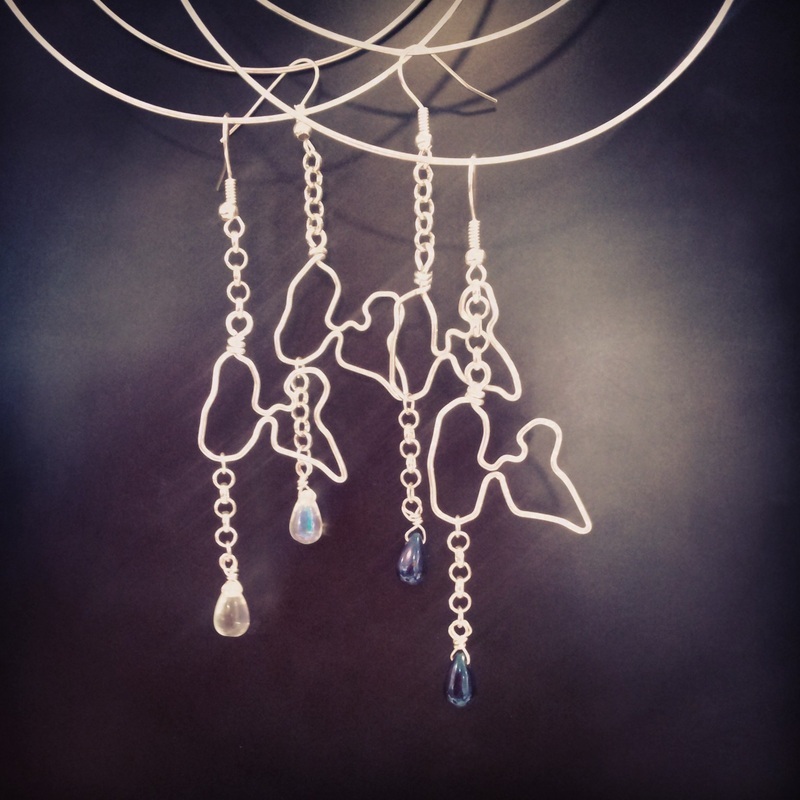 I love making beautiful things and I also love sharing them with the world.